Make sure you match the specifications of your boat, and how you plan to use it, to the trailer that you buy new or plan to fix up. One of the most-overlooked aspects of purchasing a boat is the trailer. Oh, if it’s a used boat, you may walk around the trailer and look for obvious rust or problems and maybe even kick the tires, but rarely does anyone check further or ask any questions. When the purchase is a new boat, there is even less discussion of the trailer. Many folks have the opinion that if the dealer has the boat on that trailer, it is the right one. These are rather naive ways of approaching this, and they can cause problems down the road — no pun intended. You’re the person who will suffer the inconvenience of simple trailer issues and who stands to suffer the most if there is a major incident, so you should be aware of your trailer needs and the options available to be sure you get what will service you best. First, if you’re buying new, tell the dealer how you intend to use the boat, so he can match the trailer to your plans. One of the first things to be considered is where you will be using the boat. Any material, from painted steel, to galvanized steel and aluminum should hold up well for a trailer that will only be used in freshwater. However, saltwater and brackish water are more corrosive, and galvanized steel or aluminum is better for that kind of use. Aluminum is preferred for constant saltwater use, with galvanized steel fine for occasional salt dips. Aluminum is lighter for the same strength and can help ease the load on the towing vehicle, regardless of where the boat is used. Once the trailer material has been chosen, the trailer must be matched for length, width and weight. Length and width aren’t difficult; the boat will always be the same length and width. 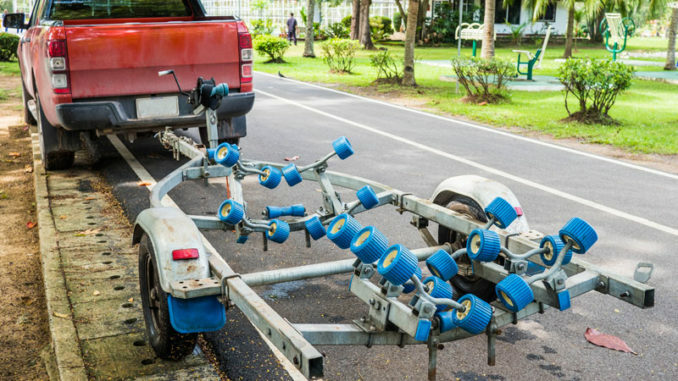 Matching the capacity of the trailer to the boat’s weight is extremely important, and it is where most people, including dealers, make their mistake. Unfortunately, this is also the area most likely to cause problems. Few people overestimate the weight of their boat. 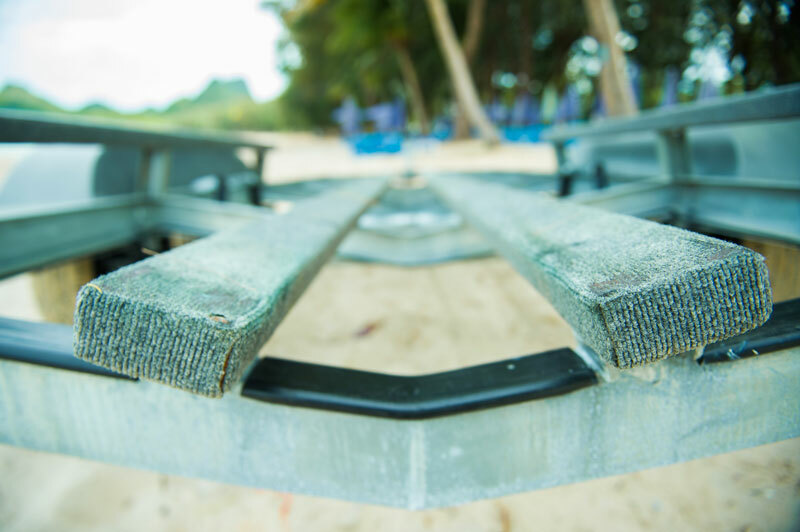 Most underestimate a boat’s weight, often severely, and when a trailer is overloaded, there is potential for frame, axle, spring and tire failure. The weight the trailer has to carry includes the boat and everything that might be in it: boat, motor, fuel, batteries, safety equipment, any freshwater, fishing gear, coolers, ice and accessories. These things combine for far more weight than most folks realize. For example, let’s use a twin-engine center console, 23 to 25 feet long, as a starting point. This boat should weigh about 4,250 pounds. Two 4-stroke, V-6 outboards will add another 1,200 pounds, 200 gallons of gas adds 1,400 pounds, a pair of heavy duty marine batteries adds 125 pounds, safety equipment (including anchor, chain and rope) adds another 150 pounds, 30 gallons of freshwater adds 250 pounds, fishing gear (including cast nets) adds 250 pounds, any watersports gear would roughly be the same as fishing gear, a couple of coolers with ice, food, and drinks would add 100 pounds, ice for the fish box would add about 100 pounds, and finally add roughly 100 pounds for general accessories and miscellaneous items. Suddenly, your 4,250-pound boat is up to 7,925 pounds and requires a trailer rated at a minimum of 8,000 pounds — much heavier than you imagined. Runners or bunks can be beefed up and shifted around the meet the needs of different boats to be towed. My personal suggestion is to have a trailer that exceeds your weight requirements a little. When you strike a nasty pothole or one of those nasty maintenance areas, the extra strength of a heavier trailer will often get you through without incident. The thing I remember when justifying the extra cost is that when something breaks, it will be me stuck on the side of the road, trying to do repairs instead of fishing. Once you have chosen the right trailer, the boat needs to be positioned to distribute the load properly. The term used for proper positioning fore and aft is “tongue weight” — the amount of weight on the coupler, with the trailer level. To adjust this, fill up the fuel tanks and load up all the fishing tackle and supplies you’ll have in the boat while towing. Trailer-hitch manufacturers, vehicle manufacturers and trailer manufacturers all offer guidelines for their products. The ideal tongue weight is approximately the mid-point of where all the recommendations overlap. 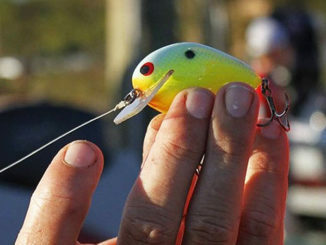 Typically, the mid-point will be somewhere between 3 and 7 percent of the total weight of the boat and trailer. Continuing our example above: the 7,925-pound boat load is on an aluminum trailer that weighs 700 pounds itself, so a 5-percent tongue weight would be 431 pounds. Be sure to check this with the trailer level. Also, when moving the boat to change the tongue weight, do it slowly. An inch or two can make a big difference in weight distribution. Move the boat forward to increase the tongue weight and backward to lighten it. The most-overlooked part of setting up a trailer is getting it level behind the tow vehicle. This can be fudged some with light loads and single-axle trailers, but is very important with trailers that have multiple axles — and critically so on trailers with torsion axles. The tongue weight is set with the trailer level on the ground, and to maintain the correct tongue weight, you must tow the trailer in a level position. This also helps distribute to load evenly to all tires on multiple-axle trailers. The trailer level is checked by connecting the trailer to the tow vehicle and measuring the distance from the frame rails to the ground at both ends of the trailer. This takes into consideration how the tow vehicle settles with the trailer attached. The axle(s) create a pivot point, so a change on one end will produce the opposite change on the other. Make any changes in small increments. A difference of approximately an inch is generally acceptable between the ends of the trailer. If the trailer won’t balance perfectly, a slight tongue-high attitude is preferred to a tongue-low attitude.